The First Amendment to the U.S. Constitution reads in part “Congress shall make no law…abridging freedom of speech…” In a general sense, speech (inclusive of writings or any other expressions where obscenity is at issue) may not always be protected speech according to the U.S. Supreme Court. Roth v. United States, 354 U.S. 476 (1957). The American Library Association (ALA) has a list of some cases that relate mostly to books and the First Amendment. These cases specifically include issues such as the right to read freely and the freedom of expression in schools. 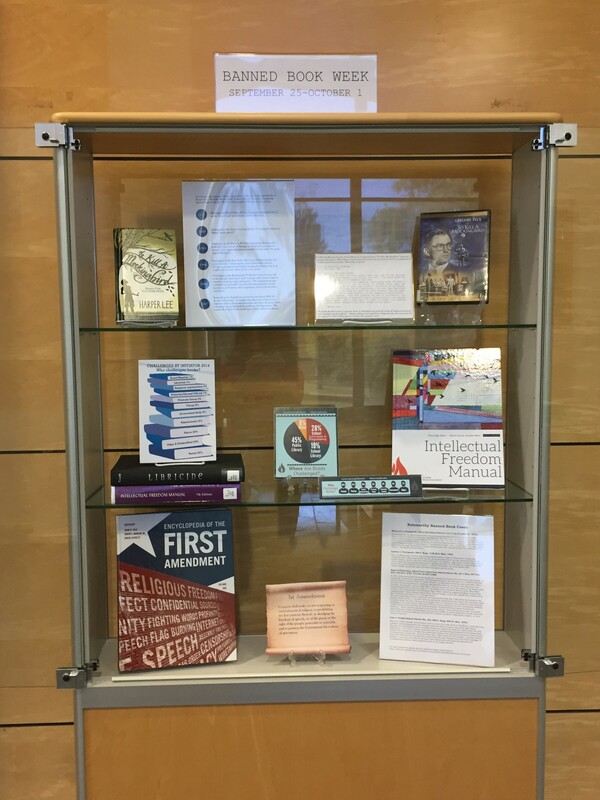 Pace Law Library is recognizing this week with a book display in Ottinger Hall. 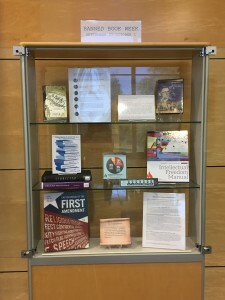 We invite you to take a closer look at it to further visualize the concept of “banned books” and gain more insight into Banned Books Week, which is celebrated annually, usually during the last week of September. Further, this infographic provides a great depiction of the “24 Most Controversial Books of All Time,” and includes the top reasons why books are challenged.